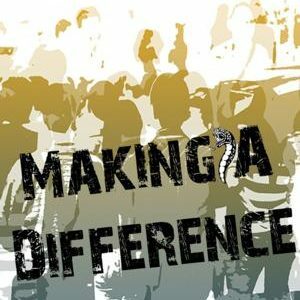 As GR8 MATES is a new pilot program, there are bound to be teething issues, even mistakes, though my personal commitment is that at no time will we place any students at risk as a result of the decisions we are making. Many of these students are vulnerable and lacking high self-esteem, something that we continually need to remind ourselves of. There were some late student additions to the program, which was not ideal, as they had missed out on the mentee training. Nevertheless we moved on and ran a two hour mentor/mentee matching session. One of the students decided to withdraw from the program at this stage. Again, this was fine and we all knew that there is no shortage of students at the school who could participate in the program. 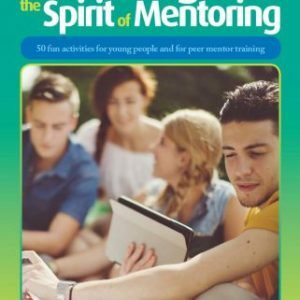 I aimed at using some fun activities, from books I have written in recent years, to break the ice between the mentors and mentees, which not only allowed them to learn something about each other in a non-threatening way, but also gave me the opportunity to share some thoughts about the benefits of a mentoring relationship. The latter usually took the form of a very brief brainstorming session that included outcomes such as: teamwork; moving out of one’s comfort zone; effective communication; respect for one and all, including their different values; listening to one another etc. There were four fun activities and then I ran a fast-paced ‘mentor meet a mentee’ activity. During this time each mentor met each mentee for no more than three minutes and they could share as much as they wanted about each other. I had primed the mentors prior to the matching process as to some of the types of ‘open’ questions they might like to ask, all of which were in their Resource Manual (wanting them to remember its purpose!!) . According to the program policies, as males would not be matched with female students there was no need for such interviews to occur. This fact helped speed up the interviewing process. Once those interviews were over the mentors and mentees, respectively, chose three people they would like to have as their partner. Names were written on a piece of paper, in order of preference, torn out of their workbooks and handed to me. There was no discussion during this time. Overall, during a debrief after the matching session, at which mentors received light snacks, tea and coffee, they all expressed their delight at the positive vibe during the matching activities. Back to the office to see what the choices were. I was expecting it to be harder than it was! In the end each student received his or her first or second choice. I had a meeting with the Principal a couple of days later. By this time I had completed the Student Assessment Summary and had matched the students with their mentors on paper! I went through the choices with the Principal and we both signed their Summary sheets. Unfortunately the School Coordinator had headed off on leave during this process, but he will be the third signatory on these forms on his return. Overall, I think this particular process worked very well. Having had some practice during the mentee training, the students settled into the fun activities remarkably quickly and most mentors entered into the spirit of the occasion incredibly quickly. What a special group they are! My final part of the process was to inform the mentors as to whom their mentees would be for the mentoring journey. I gave a snapshot from the students Pre-Programme Survey, just enough to encourage the mentor prior to the official match. And, as has happened throughout this program thus far, I was amazed at some of the positive responses. Things I had no knowledge of about the mentors prior to the match being made, were fed back to me ie, mentors having had similar career experiences when they were adolescents, knowing people who had the same interests as their new mentees etc. I felt it was important to give mentors the opportunity to express their agreement or non-agreement about the match prior to the actual matching meeting taking place. Some mentors had said they were happy to mentor anyone, as ‘they are all great kids’, which did facilitate some of the decisions taken. I knew that the students would be happy, as they had received their choice of mentor. All that remained was to bring the matches together ….